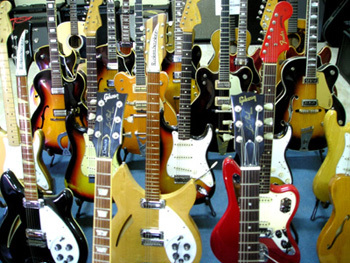 The guitars of REAL VINTAGE are on show in Salvatore Mancusos Guitar Shop in Milazzo, pleasant little seatown near Messina, starting point for the Eolian Islands. 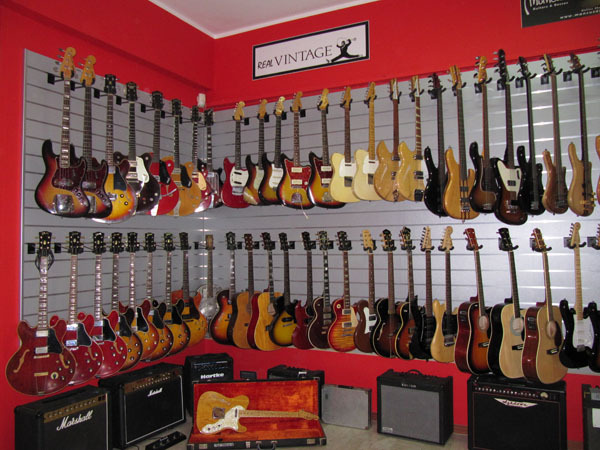 A visit to REAL VINTAGE guitars might be a good opportunity to discover one of the nicest spots of Sicily, with its architectonic and natural treasures (the rocky promontory of the Capo, Tono sandy seashores, Polyphemus Cave). We are waiting for you! Hours: 9.00 am - 1.00 pm; 3.30 pm - 7.00 pm. Monday 3.30 pm - 7.00 pm. Saturday 9.00 am - 1.00 pm. Anyway, if you plan to visit us for the vintage inventory, please phone, fax or email in avance, so I'll be pleased to meet you in person. Thank you! 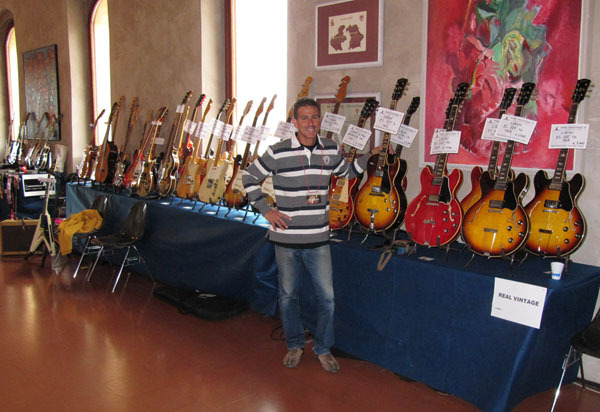 Every year we have a booth at SOAVE GUITAR SHOW, between late April and early May, in Soave (VR) and Naima Guitar Show, Forlì.